wendychan said: town council allow? at least better than the koi fish tank right Wendy? or perhaps attempt to convince the public that this is the selected reserved zodiac icon to represent all new year celebrations for the next few years...? This year, 2019 year of pig. 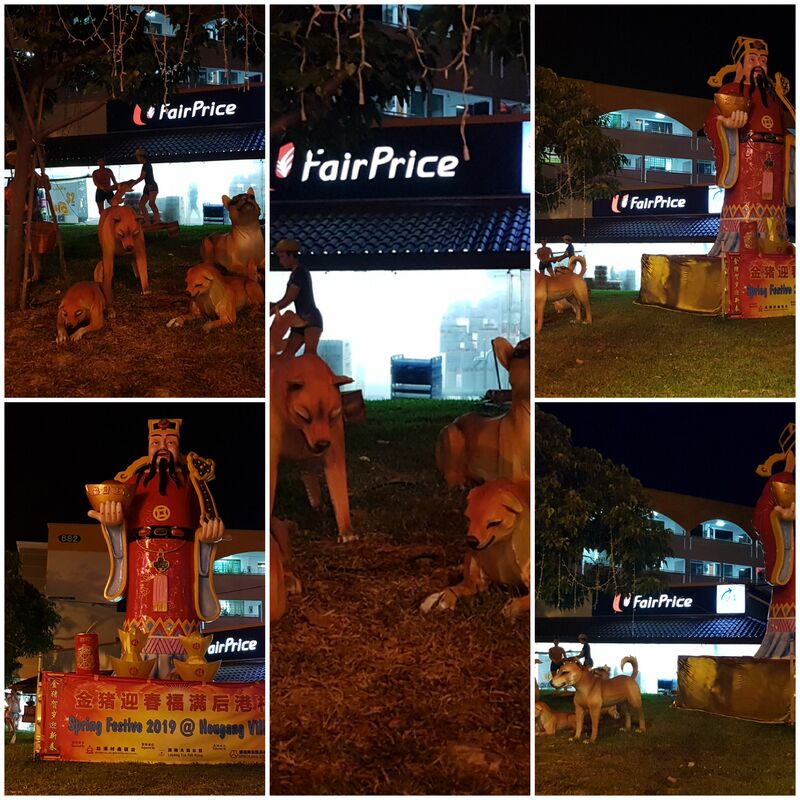 I was fascinated by the chinese new year display at Hougang Village at the junction hougang street 61 and hougang ave 4 . It was last year cny display. With all the "dog" still running around. Why? Why just not remove the dog? Wonder if all others estate is doing the same? Anyway i do support recycling but it make me wondering what causes and who make such a decision? for new year? I don't trust a single word all those men in white that said. Not even those statistics datas released all are made of flowery figures. It’s not about which is better. hfourhappy said: at least better than the koi fish tank right Wendy? discarded when no more use. next yr will be the piggies. gemstar said: I don't trust a single word all those men in white that said. Not even those statistics datas released all are made of flowery figures. ToBeUK said: or perhaps attempt to convince the public that this is the selected reserved zodiac icon to represent all new year celebrations for the next few years...? ... those not represented after each cycle, like cat, orang utan, chameleon etc? fitvip said: ... those not represented after each cycle, like cat, orang utan, chameleon etc? Current time: 23-4-2019, 12:27 AM Powered By MyBB, © 2002-2019 MyBB Group.